Karachi is the largest and most populous city in Pakistan. It is the main seaport and financial center of Pakistan. 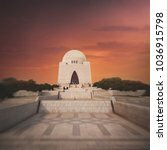 These are public domain photos of Karachi.